I was feeling a bit better yesterday and decided I would go for a run after work, however when I got home this nonsense was blocking the entry way to my garage! Grrrrrrrrrrrr………. It was just a false alarm and once they moved, I managed to get in an easy 4.5 miles! Dinner was an Asian rice and vegetable medley to which I added some cod marinated in soy sauce – Delicious! Alright, we are a whole week into February, so it’s about time I get the Goals out there! You will notice that some carried over from last month and have been a bit modified, but there are also some new ones! 1. Get together with 2 Kims (I actually have two friends from high school named Kim that live out here). Literally have not seen either of them in 14 years!! 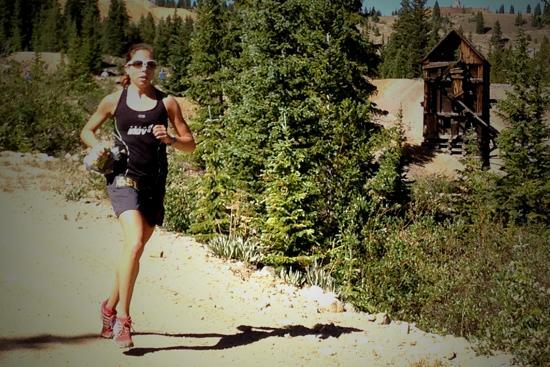 3. sign up for the Leadville Heavy Half Marathon…this race terrifies me. 4. run at least 3 times each week. I have been having trouble fitting in running with my new work schedule and that makes me very unhappy 😦 Need to figure out how to fit it in! 5. Write 1-2 new articles. I haven’t been writing much since I started teaching and I would like to get some done! Happy Friday everyone! Hope you all have a fabulous weekend! What new goals do you have for yourself this month?